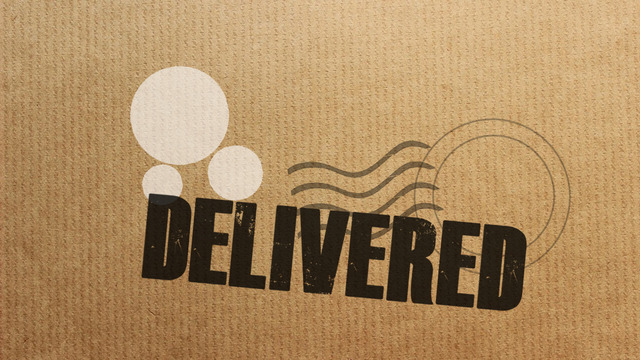 Sermon Title: Why Deliver to Joseph? 18 Now the birth of Jesus Christ took place in this way. When his mother Mary had been betrothed to Joseph, before they came together, she was found to be with child from the Holy Spirit. 19 And her husband Joseph, being a just man and unwilling to put her to shame, resolved to divorce her quietly. 20 But as he considered these things, behold, an angel of the Lord appeared to him in a dream, saying, “Joseph, son of David, do not fear to take Mary as your wife, for that which is conceived in her is from the Holy Spirit. 21 She will bear a son, and you shall call his name Jesus, for he will save his people from their sins.” 22 All this took place to fulfill what the Lord had spoken by the prophet: 23 “Behold, the virgin shall conceive and bear a son, and they shall call his name Immanuel” (which means, God with us). 24 When Joseph woke from sleep, he did as the angel of the Lord commanded him: he took his wife, 25 but knew her not until she had given birth to a son. And he called his name Jesus. 18 Now the birth of Jesus Christ took place in this way. When his mother Mary had been betrothed to Joseph, before they came together, she was found to be with child from the Holy Spirit. 10 May your kingdom come. May what you want to happen be done on earth as it is done in heaven. 39 And going a little farther he fell on his face and prayed, saying, "My Father, if it be possible, let this cup pass from me; nevertheless, not as I will, but as you will." 22 But when he heard that Archelaus was reigning over Judea in place of his father Herod, he was afraid to go there, and being warned in a dream he withdrew to the district of Galilee. 23 And he went and lived in a city called Nazareth, so that what was spoken by the prophets might be fulfilled, that he would be called a Nazarene. 20 But as he considered these things, behold, an angel of the Lord appeared to him in a dream, saying, “Joseph, son of David, do not fear to take Mary as your wife, for that which is conceived in her is from the Holy Spirit. 21 She will bear a son, and you shall call his name Jesus, for he will save his people from their sins.” 22 All this took place to fulfill what the Lord had spoken by the prophet: 23 “Behold, the virgin shall conceive and bear a son, and they shall call his name Immanuel” (which means, God with us). 24 When Joseph woke from sleep, he did as the angel of the Lord commanded him: he took his wife, 25 but knew her not until she had given birth to a son. And he called his name Jesus. Will you seek to know and do God's will and way in your life this week? How can you make sure that both what you do and how you do it honor God? What are ways you can be more open to discerning God's plan? Plus special music from our children!!! This is the EASIEST way to give.